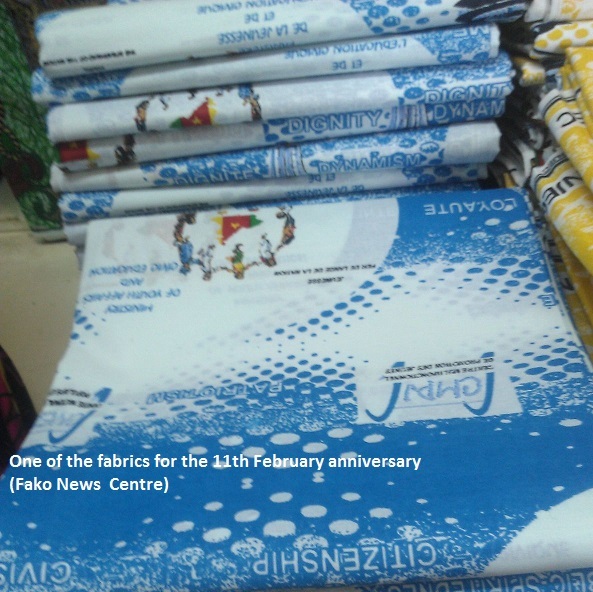 Marking the 50th Anniversary of the 11th February in Cameroon different colour fabrics have been designed to commemorate the event. 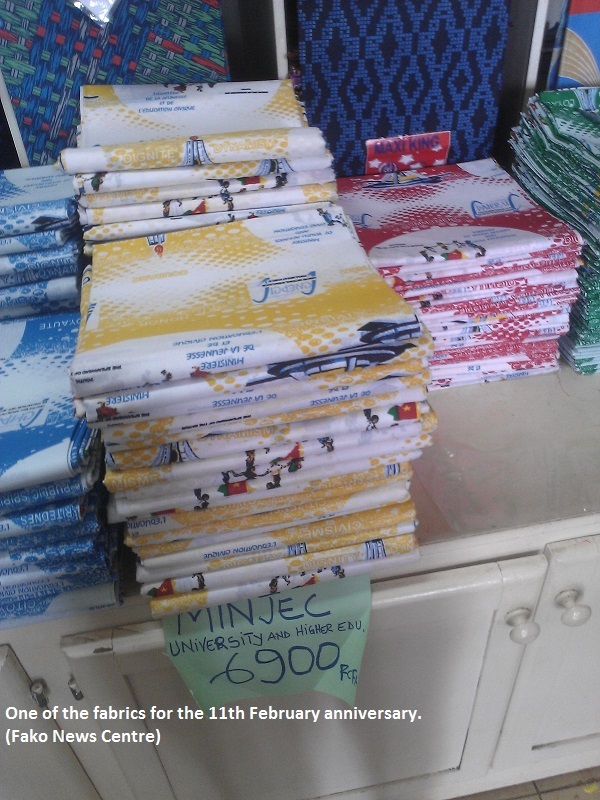 Just like the women who celebrate their international day with a fabric, so are the nursery to the university and the teachers going to celebrate the youth day with their materials. The fabric which has replaced school uniforms as outfits of the National Youth Day and which bares the colours of the nation and that of the United Nations was presented at the Ministry of Youth and Civic Education during the second preparatory meeting towards the celebration of the golden Jubilee of the National Youth Day. 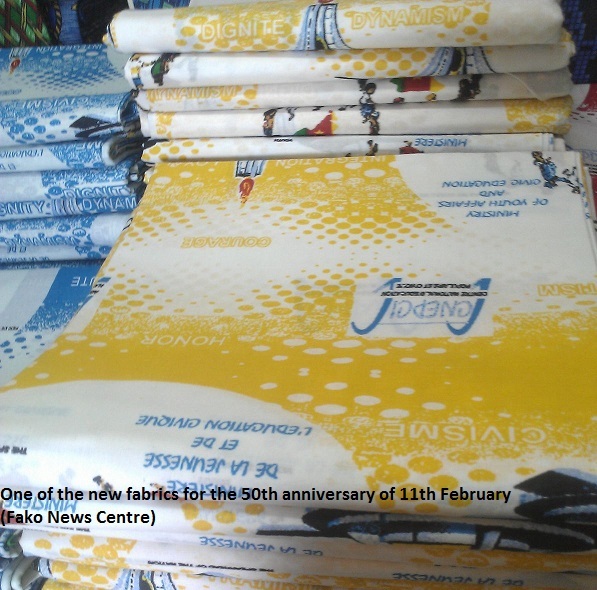 The Director of Youth, Social Integration and Volunteering, Ndzo Augustine Kum, revealed that the fabrics are already available on the market and that a great portion of them have been sent to the three Northern regions. All in all these fabrics are now being sold and many are buying their respective colours. Below are the pictures of the fabrics.